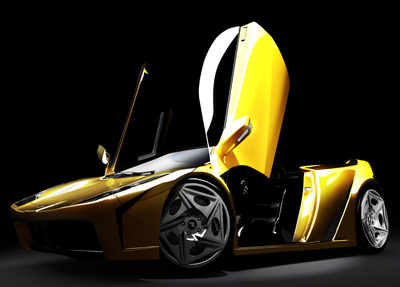 The Lamborghini Ferruccio is a supercar concept created independently from Lamborghini by Pule Magau of Magvisio. The concept is named after the founder of Automobili Lamborghini, Ferruccio Lamborghini. The supercar is based on the drivetrain of the Lamborghini Murcielago LP640 which is powered by a 6.5 litre V12 producing 640 horsepower and 660Nm of torque. 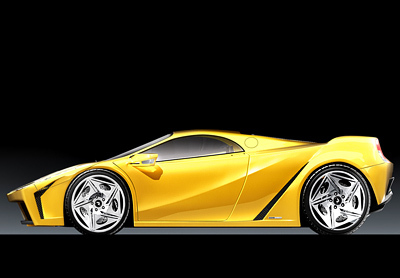 The Lamborghini Ferruccio uses early lamborghini's for design inspiration but with a modern twist. The "eyelash" headlight clusters are a contemporary interpretation of the units found on the Lamborghini Miura, while the fixed rear elevated haunches are similar to those on the Countach, these also help to channel air into the engine bay. The "recessed' fan intakes on the bonnet are also reminiscent of the Lamborghini Jota of 1971, unique design cues are the swooshing, sweeping concave and convex lines running across the sides of the Lamborghini Ferruccio's body. 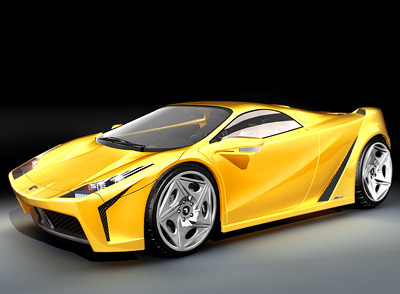 Both a hardtop and convertible (Spyder) version of the Lamborghini Ferruccio have been designed.